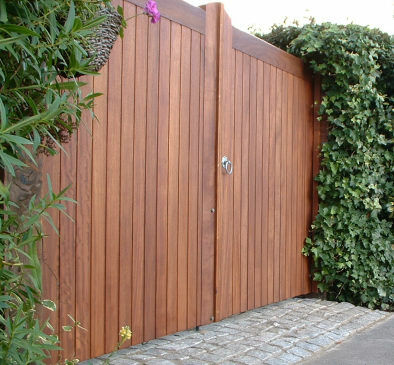 These top quality gates look expensive and are very well constructed from iroko hardwood. They have heavy tongue and groove panel infill with a substantial supporting frame. Rob McGee & Son from Kent, UK - Supplying and installing quality gates in the South East.